Really, what else is there to say about this 4WD Daihatsu Hijet kei truck other than it's awesome? I wonder if it comes with the dog? Yes, I'll take one of each, thanks. This isn't the first time I've posted this up here, but this is a much better picture. So much want. 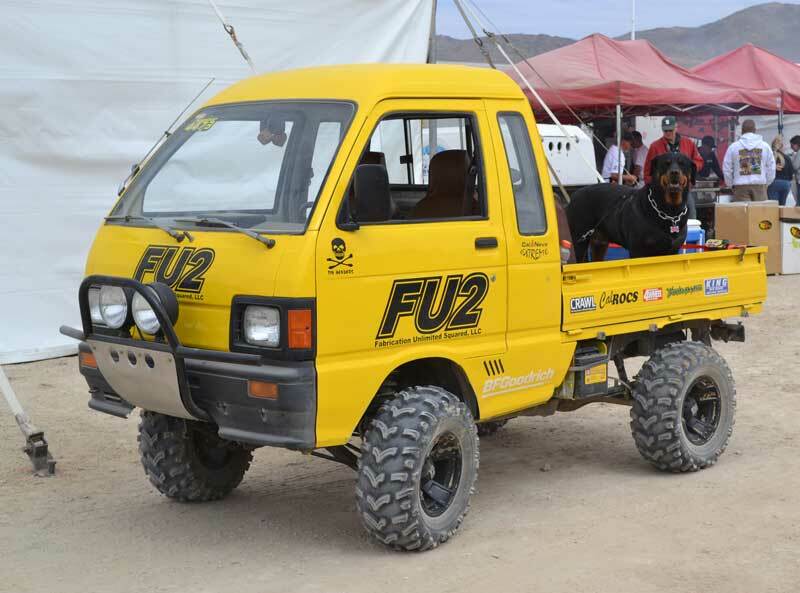 This was another small rig at The King of the Hammers off-road race in Johnson Valley, CA. I would SO own a keitora if they were street legal.